The Disney organization is perhaps the greatest practitioner of Guest Experiences around today. Books have been written about what the “cast members” at Disney do to make people feel welcome (I know – I’ve read all of them, and own most of them). A year ago about this time, my wife and I “opened and closed” the Magic Kingdom (we were there from the opening at 8 AM to closing at midnight) including Mickey’s Very Merry Christmas Party as a part of our 34th wedding anniversary celebration. Once again, I was amazed at the exceptional attitude of the cast members. Observing hundreds of Cast Members, dealing with tens of thousands of Guests, there’s only one word to describe their attitude: Magical. So I’m sure you won’t mind if we go backstage and back in time at Disney to learn about their 7 Guest Service Guidelines – a list of actions that every Disney team member learns during their orientation. When Disneyland opened in 1955, Disney was looking for a set of generic behaviors that ensured that cast members knew how to act courteously and respect the individuality of each Guest. Over the first ten years, the four values of Safety, Courtesy, Show, and Efficiency became the foundation from which all succeeding service standards were developed. These seven phrases serve a variety of purposes. First, they define behavior in terms of Guests. They also communicate cast member responsibilities. Finally, they showcase ways to customize service to individual Guests. 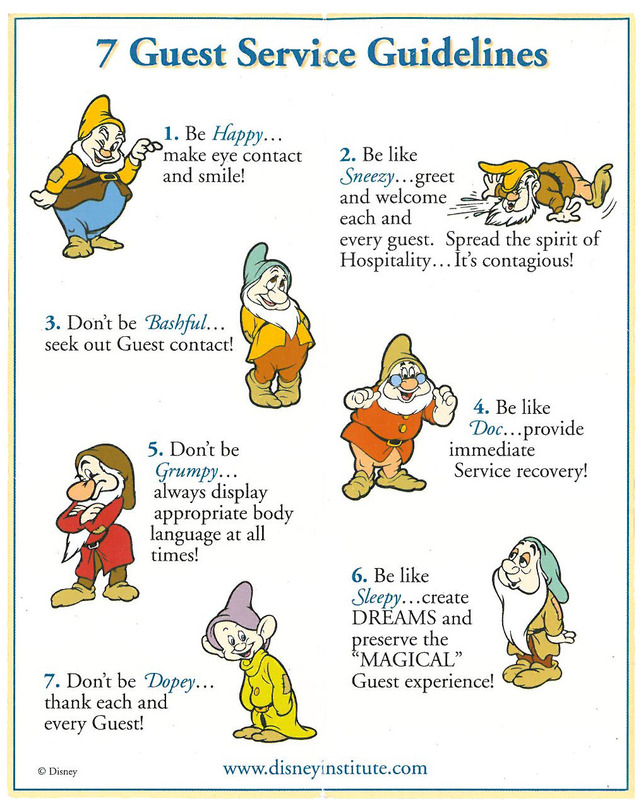 Even though these Guidelines don’t exist in this form anymore, my experiences last year reminded me that the spirit of the Guidelines are very much in practice by cast members today. Your church won’t have tens of thousands of people coming through your doors every day – but the principles Disney uses as a baseline starting point for training its cast members are appropriate in the context of your church. 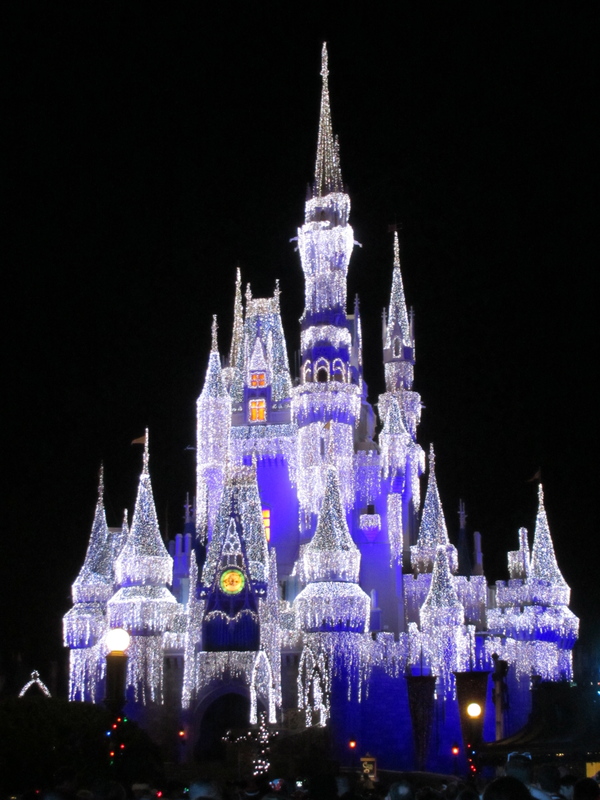 This entry was posted in BookNotes, Guest Experience and tagged 12 Days of Guest Experience Christmas, 7 Guest Services Guidelines, Be Our Guest, Church Guest Services, Disney Institute, Guest Services. Bookmark the permalink.